Trick-or-Treat: The Best Neighborhoods & Traditions! We’re well into the countdown to Halloween and we wanted to give you the inside scoop on great neighborhoods for trick-or-treating and other Halloween adventures. We asked six of our favorite realtors to give us the lowdown for their neck of the woods. Will Milbury, Milbury & Co.
Will Milbury said that Padanaram Village in South Dartmouth is a network of close-knit neighborhoods that teems with children and young families and is a great spot for trick-or-treating. He also mentioned Boo at the Zoo, hosted by the Buttonwood Zoo in New Bedford on October weekends, as a fun family event that isn’t too scary. Boo at the Zoo is still running this year from October 27 – October 30th, 6 to 9 p.m. Find out more here. Will is the owner and principal broker of Milbury & Co which has purposefully remained a small, competitive independent firm. He lives in South Dartmouth and is an active member of the community. You can find him at the Milbury office at 304 Elm Street, Dartmouth where there’s always a candy basket out front (thank you!) but they’ll have extra Halloween treats thrown in on Tuesday. Howe is the owner of Howe Allen Realty with offices in Fairhaven and New Bedford. He is also a renovation fanatic. Not a year goes by when renovation projects don’t fill his days (and nights). You can see some of his projects on the Howe Allen Realty FaceBook page. In addition to rehabbing homes, he enjoys traveling and experiencing new cultures. Howe shares his life with his husband, Tim Evans, and two Jack Russell Terriers, Cheer and Dutch. Howe Allen Realty, Center Street, Fairhaven, (888) 491-9993. 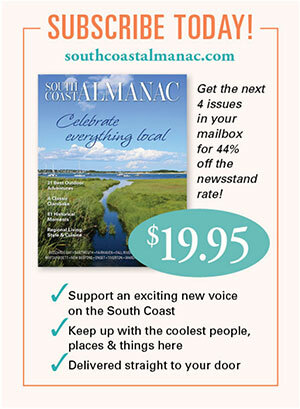 Mattapoisett’s Cecile Callahan said, “growing up in town the place to be on Halloween was, and still is, the village. The homes in the village all welcome trick-or-treaters. 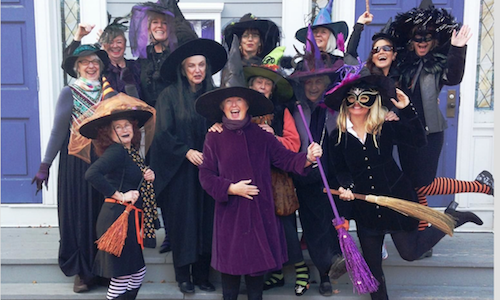 After you score big trick-or-treating, get to the annual Mattapoisett Police Halloween Parade which begins at 6 pm at Center School on Barstow Street.” She promises candy and costume prizes for all ages, preschool to senior citizen. Cecile is a realtor with Robert Paul Properties in its Marion office and is also the owner of the popular website and blog Mattapoisett Living. Cecile is a Mattapoisett native who is always on the look out for the best sunrises and sunsets. She loves the outdoors, photography and is a big cheerleader for the South Coast. Check her out at Mattapoisett Living and at Robert Paul Properties, Front Street, Marion, (508) 395-6391. Cassy West said the place to be on Halloween is the village of Marion where the Marion Art Center’s volunteer witches, together with the Sippican Elementary School band, lead a costume parade around the village before the kids scatter for trick-or-treating. She says the annual event draws hundreds of children and it’s great fun. The parade begins at the Marion Music Hall (corner of Front and Cottage Streets) at 4 p.m. on Halloween night. Cassy is a realtor with Robert Paul Properties in its Marion office and the owner of Wellness by Dezign where she offers holistic design services for home and office. A graduate of the Rhode Island School of Design, she is a certified LEED V4 Green Associate and brings a keen aesthetic to her work every day. She spent her summers as a child in Marion and now lives in Mattapoisett. Find her at Robert Paul Properties, Front Street, Marion, (508) 395-6391 and at Wellness by Dezign. 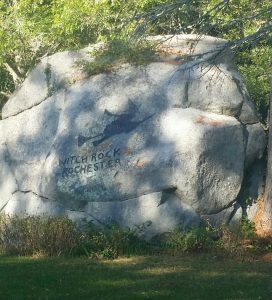 Cindy Parola said, “back when I was younger, we all went to Cromesett in Wareham– lots of kids, lots of houses close together – it’s still a hot spot. I have a friend there that gives out comic books! Isn’t that awesome?” She also loves Parkwood Beach neighborhood because it’s a friendly neighborhood with lots of folks hanging out in their front yards, greeting people, with fire pits going. 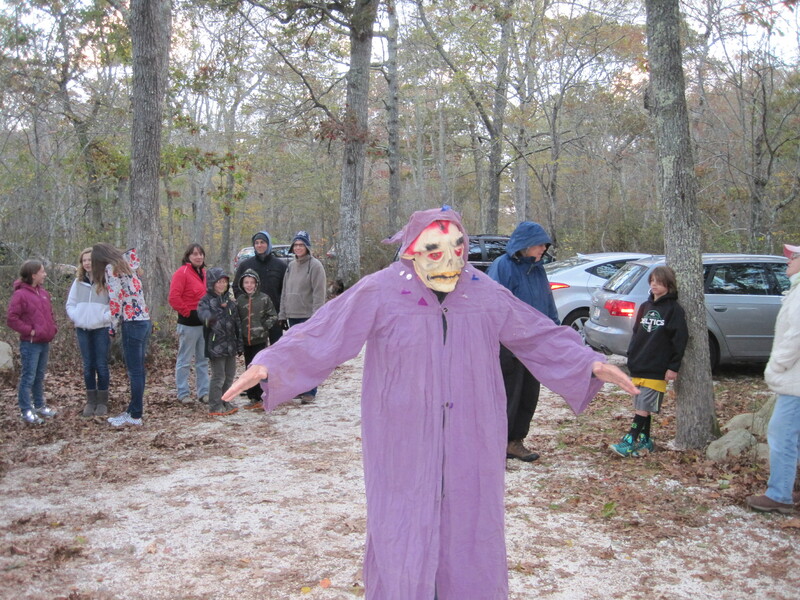 Finally, she reminded us that Wareham Crossing has its big Boo Bash this Saturday from 10-1 (and that the merchants on Main Street will be giving out treats on Halloween itself). Cindy lives in Bourne now with her husband Mike and six adorable, patience-testing kitties (her favorite candy: “Kit Kats, of course”). LaForce Realty is a boutique real estate brokerage with four offices: Lakeville, Bourne and two in Wareham. Laforce Realty, Tyler Avenue, Wareham, (508) 958-5376. Sue Ann Murley said that Onset Foursquare Church sponsors Trunk-or-Treat at Lopes Field where cars line up with their trunks open and filled with candy. Instead of going to houses, children visit the cars. The free event features theme-decorated trunks, games, bounce houses, refreshments, a DJ and some unusual characters. Lopes Field is off Onset Avenue. For more information, call 508-291-1595. Sue Ann is a realtor with DiVito Realty with offices in Onset and Hull. She lives in Onset with her partner, Jeff Gorman, and their Maltese Poodle Henry. In years past, Henry has entered into the Halloween spirit by dressing as a hot dog and a devil but Sue Ann says “he hated every minute of it.” So he may just be a Maltese Poodle this Halloween. DiVito Realty, 247 Onset Avenue, Onset, (508) 295-0213. We would love to know where the favorite spots are in your town. Tiverton, Westport, Little Compton, Rochester, Lakeville, etc…whatcha got for us? Please comment below! Witch Rock. Look for it in plain sight. 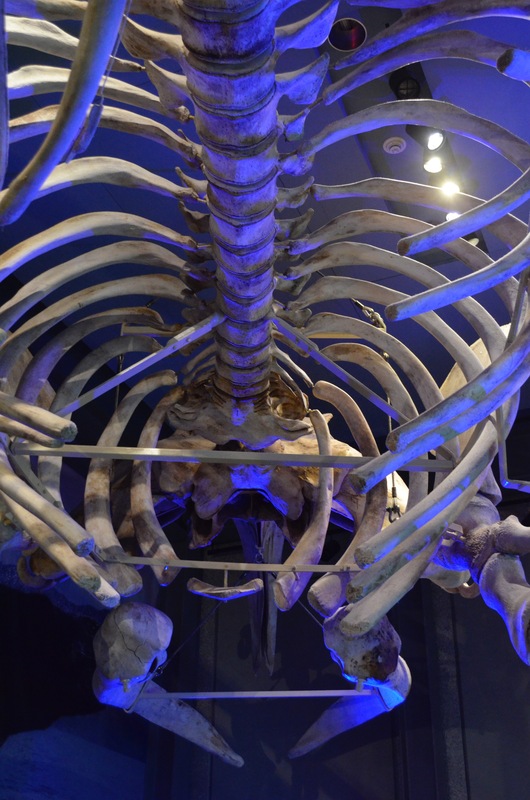 It’s no surprise that the Whaling Museum, which does everything so well, also does Halloween well. On October 29, 2016, they transform the museum into a slightly spooky place where you can meet ghosts from New Bedford’s seafaring past. Visitors from 5:30 to 8:00 are encouraged to dress as their favorite historic character and join the costume parade. $5 per person, children 12 and younger are free. New Bedford Whaling Museum, 18 Johnny Cake Hill, New Bedford. See more here. 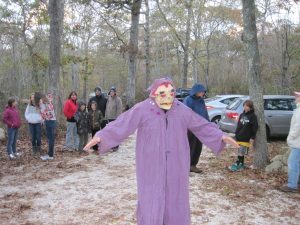 This Friday, the Dartmouth Natural Resources Trust and the Westport Land Conservation Trust partner together to bring you an eerie adventure for families (suggested ages 8 and up) at the WLCT’s Headwaters Conservation Area in Westport. Walk through the dark woods with a guide to a site where local storyteller David Mello will tell ghost stories around a fire. This is free but you do have to register. See here for more information and here to register. Because no one does Halloween haunts like Fairhaven. Photo provided by Fairhaven Office of Tourism. Manny Souza’s elaborate Halloween haunts in Fairhaven have made him something of a local celebrity which morphed into national celebrity in 2012 when his was among three Fairhaven homes in the documentary The American Scream, a movie which featured people passionate about creating extraordinary haunted houses for their neighborhoods. Check out the fun trailer here (Manny is the second gentleman they interview). After the film came out, Fairhaven started getting visitors driving from as far away as New Jersey to visit the elaborately staged haunts. 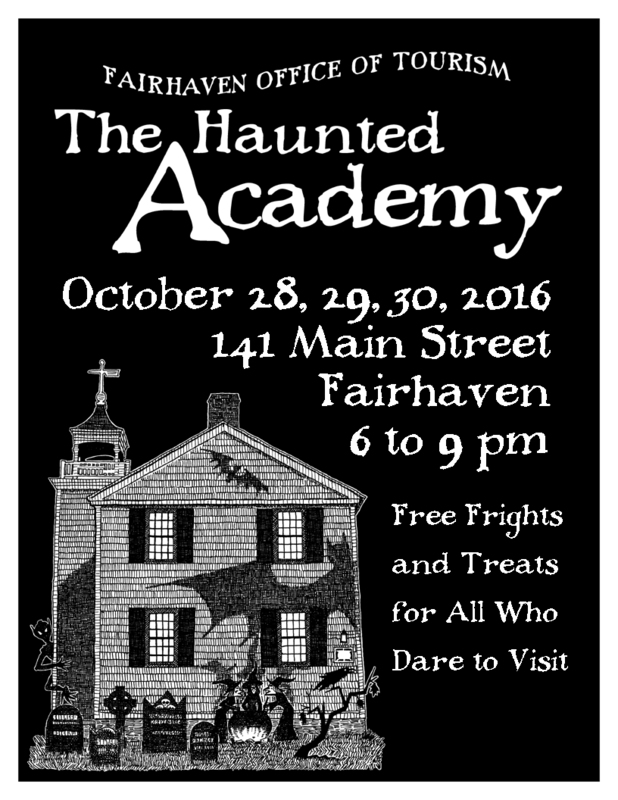 This year, Souza joins up with the Fairhaven Office of Tourism for three nights to celebrate Halloween. The Fairhaven Visitors Center, 141 Main Street (next to Fairhaven High School), October 28, 29 and 30 from 6:00 to 9:00 p.m. Free admission. Not recommended for pre-school children and parents are asked to use their judgment. See here for more information. Silent movie + suspenseful live music. Photo provided by the Zeiterion Theater. 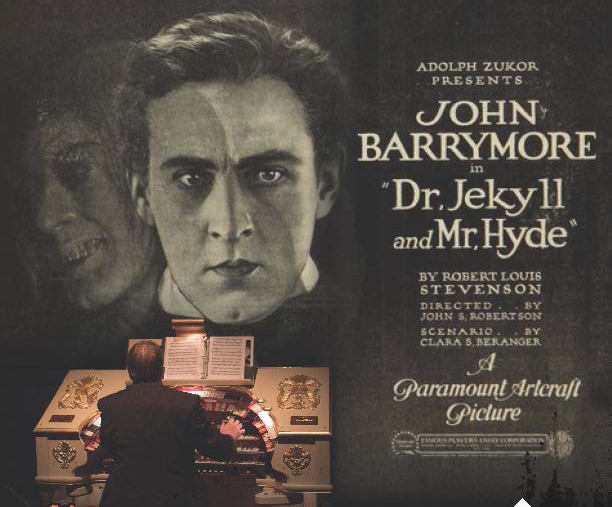 If you’ve always wanted to see a silent movie with a live soundtrack, get to the Zeiterion Theater on October 29th for their showing of Dr. Jekyll and Mr. Hyde, starring John Barrymore. 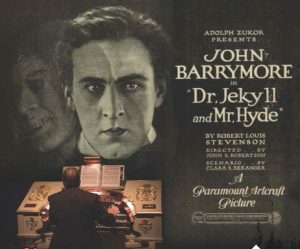 The Z’s famed Wurlitzer and organist Bernie Anderson, Jr. will play the suspenseful score as the silent movie unfolds on screen, telling the story of the benevolent Dr. Jekyll as he explores the other side of his personality with an enlightening concoction. Will he be able to control his evil alter ego? Can any of us? See here for more information. A candy corn martini. Is there anything scarier? 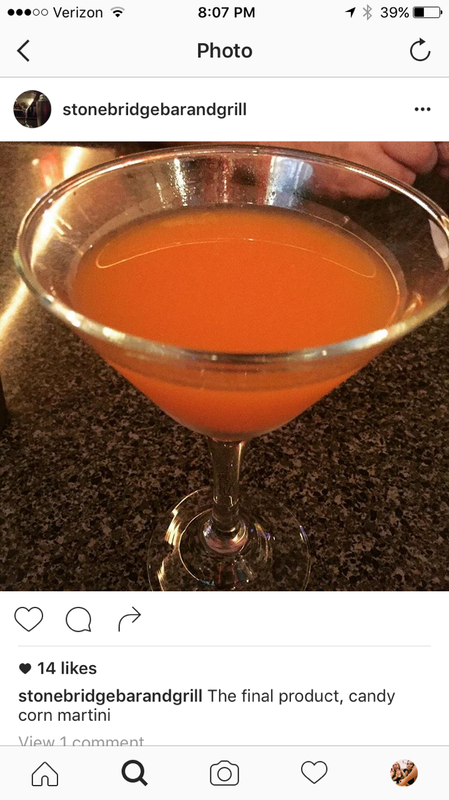 We love when our favorite neighborhood spot gets inventive with their cocktails. Here, the Stonebridge staff soaked candy corn in vodka. Try it only if you dare. Stonebridge Bar & Grill, 5 East Boulevard, Onset. If you’d like regular updates of our blogs, join our email list here.